Brewer Description: (from bottle) First brewed in the 16th century near Leipzig, whose local water source was heavy in salts, the light, sour wheat beer that became known as Gose gets its characteristic tartness from a mixed yeast/Lactobacillus fermentation. 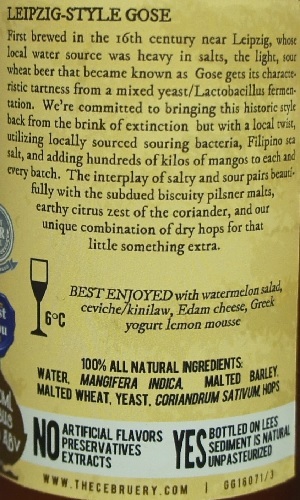 We’re committed to bringing this historic style back from the brink of extinction but with a local twist, utilizing locally sourced souring bacteria, Filipino sea salt, and adding hundreds of kilos of mangoes to each and every batch. The interplay of salty and sour pairs beautifully with the subdued biscuity pilsner malts, earthy citrus zest of the coriander, and our unique combination of dry hops for that little something extra. Intro: A 330ml bottle with no visible bottled on or best before date. Poured into a d’Achouffe tulip glass. Appearance: It poured a cloudy golden straw orange colour with a two finger white head that had decent retention but not much lacing. Aroma: Not too strong, but what I do get is lightly doughy with fruity mango and pineapple. 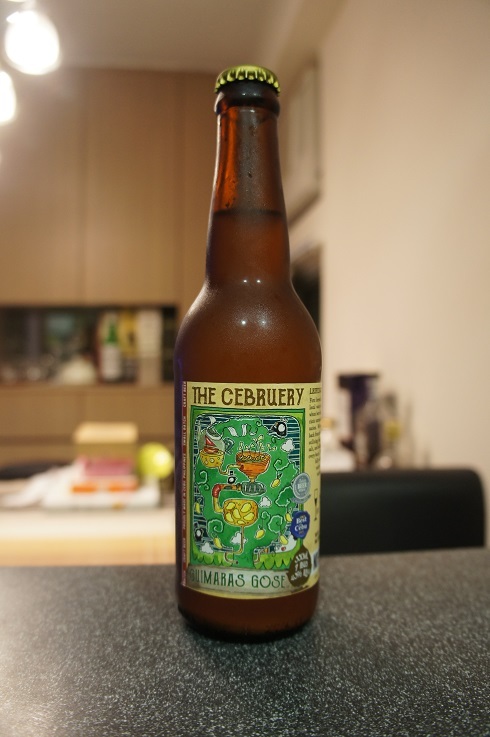 Taste: Sour, tart, mango with some light saltiness. Overall: I like it. 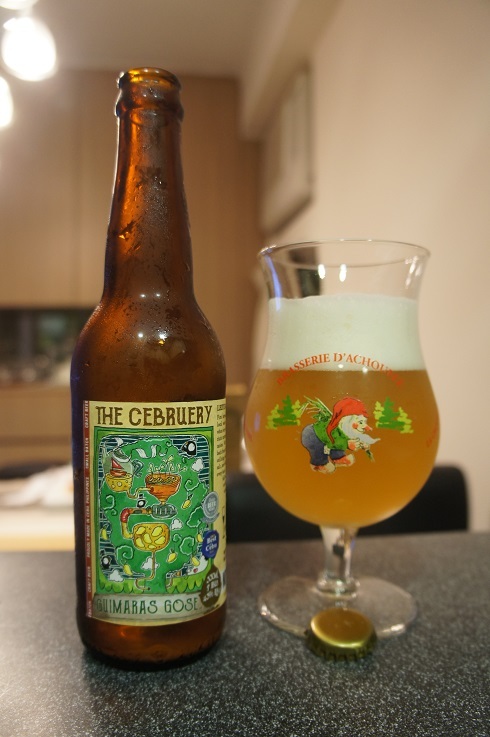 It is refreshing, easy to drink and has lots of mango, which I enjoy.